“Disney’s Planes” is an action-packed 3D animated comedy adventure featuring Dusty (voice of Dane Cook), a plane with dreams of competing as a high-flying air racer. But Dusty’s not exactly built for racing—and he happens to be afraid of heights. So he turns to a seasoned naval aviator who helps Dusty qualify to take on the defending champ of the race circuit. Dusty’s courage is put to the ultimate test as he aims to reach heights he never dreamed possible, giving a spellbound world the inspiration to soar. 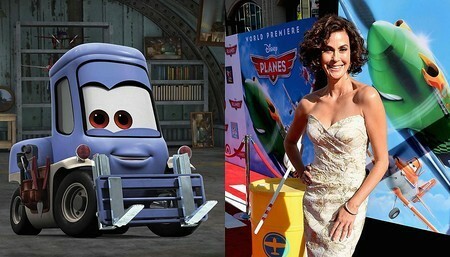 Filmmakers cast Teri Hatcher as the voice of the pragmatic Dottie, a forklift who co-owns and operates Chug and Dottie’s Fill ’n Fly service station. As Dusty’s practical and say-it-like-it-is friend—not to mention his ace mechanic—Dottie hopes to keep his high-flying hopes grounded in reality: Dusty isn’t built to race and chasing his dream is downright dangerous. No matter what he decides, however, Dottie will always have his back. 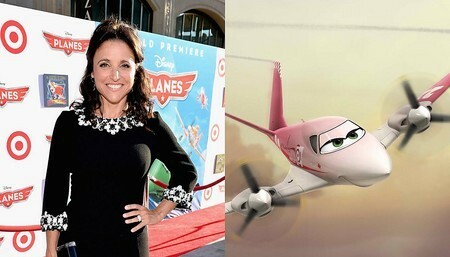 Meanwhile, Julia Louis-Dreyfus provides the voice of Rochelle, a tough racer and the pride of the Great White North. Always confident and capable, she got her start running mail to small towns in Quebec, picking up home remedies for mechanical maladies along the way. She also developed a knack for fast travel that ultimately inspired her to give air racing a try. Rochelle never looked back (this competitive contender doesn’t need to). She is relentlessly pursued by charmer El Chupacabra, but steadfast Rochelle is much too focused on winning the race to return his affections. Distributed by Walt Disney Studios Motion Pictures International, “Planes” takes off across the Philippines in 3D and regular theaters on Aug. 21.